In about a month BioGaia’s product BioGaia Protectis drops will be available, through our distribution partner Dr. Reddy, nation-wide in India. 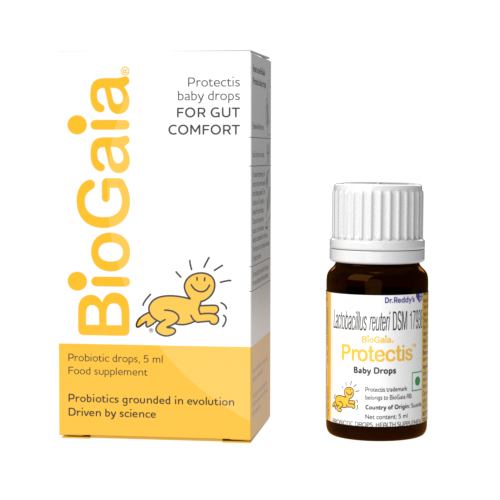 BioGaia Protectis baby drops is a food supplement containing the patented lactic acid bacterium Lactobacillus reuteri ProtectisTM (L. reuteri DSM 17938) that helps the good microorganisms restore a natural balance in the gut. Because L. reuteri Protectis naturally colonizes humans it has a strong adaptation to persist and interact with humans.